Light, bright & over-looking a greenbelt & the west Santa Rosa Mountains. One of our most popular Casita floor plans offering a spacious great room w/an impressive fireplace complete with a raised hearth & mantel, entertainment center & floor to ceiling window that brings in natural light.A private courtyard patio is just off the lavish master bedroom. The master bath consists of a separate shower; sunken tub; granite counters & large walk-in closet. Many custom upgrades-updated kitchen w/newer kitchen counter treatments; re-stained cabinets & updated appliances. Adjacent to the kitchen is a lovely dining area w/chandelier. 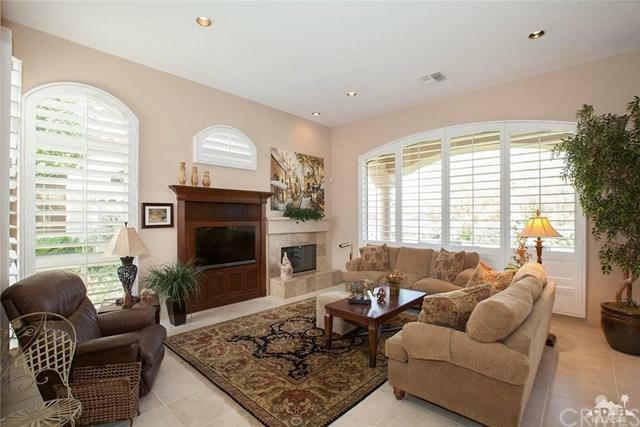 Other features boast plantation shutters & porcelain tile throughout-no carpet. 2 car garage plus storage. 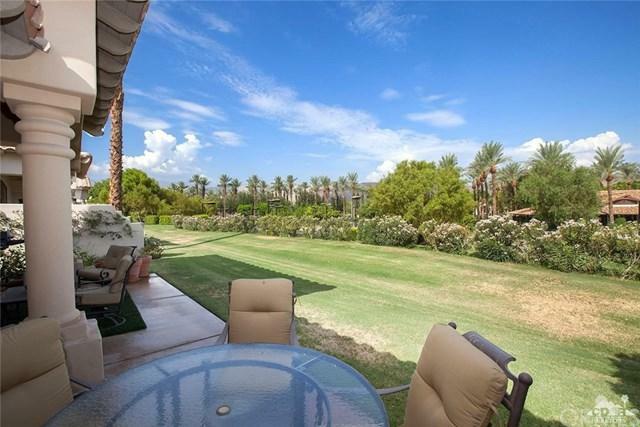 Walk to the club house, tennis, Jr. Olympic size pool, spa,fitness center & restaurants. This well-appointed property comes furnished. Private golf membership is available to two golf courses if one desires.